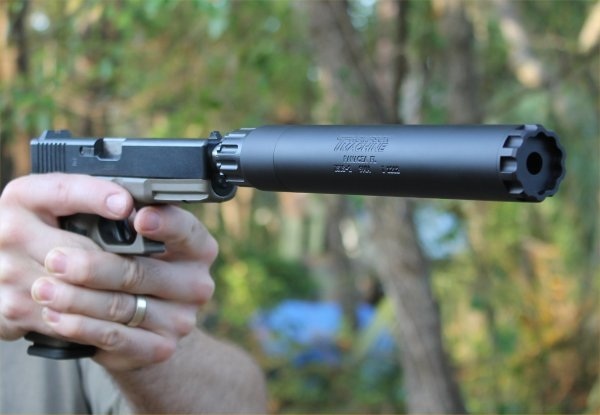 The Culmination of countless hours of R&D, the Thompson Machine Isis22 sets a new standard for what a rimfire suppressor should be. With outstanding sound suppression on nearly every rimfire host firearm and little to no audible FRP, we think it’s the perfect .22LR can. The Isis22′s features include a threadless-tube monocore design that is both easy and quick to take apart and clean, full-auto rating, .22 Mag and .17HMR rating (on rifle-length barrels), and an affordable price tag. Specifications: Caliber 22LR, Full-Auto Rated, .22Mag and .17HMR Rated (on rifle-length hosts). Overall Length 6.5”. Diameter 1.125”. Weight 4.7oz. Tube Material 6061 T6. Baffle Material 6061 T6. Design Mono-Baffle, Tool-Less Disassembly. Finish Matte Black Anodized. Attachment 1/2×28 threads.